Hanging drywall is serious work and requires a serious drywall gun. 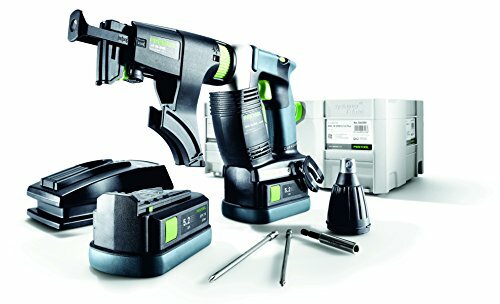 Equipped with magazine attachment for using commonly available collated screws, on-demand push and drive system (no need to hold the trigger), electronic Cut-Off, precision depth control, user-serviceable magazine, and EC Tec Brushless motor, the dwc is built to make hard work less hard on you. Quiet, efficient, and accurate, for faster installs with less fatigue.